We offer a quality tested range of Polyester Filter Cloth. 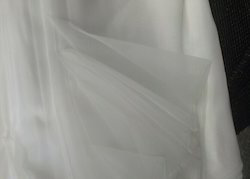 Polyester Filtering Fabrics Series, which made of polyester fiber (PET), can be divided into PE staple fabrics, PE long thread fabrics, and PE mono filament fabrics. We offers wide range of Industrial Filter Fabric that includes Polyester Filter Fabric. These Polyester Filter Fabric are manufactured using high quality material multi filament material. Further, these are available for the filtration of Air and Water. This Fabric is Available with various GSM micron. 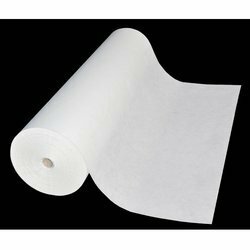 We have emerged as the foremost organization, engaged in offering superior quality Polyester Filter Cloth. We are engaged in manufacturing and supplying Filter Fabrics. These fabrics are manufactured, using quality-assured raw material for high performance guarantee. We manufacture filter fabrics that encompass woven spun/filament polypropylene, cotton and polyester. “KALPESH SYNTHETICS PVT LTD." based in INDIA is the Manufacturer of Woven Technical and Industrial Fabric with Complete Infrastructure. spun bonded polyester media are available with water repellent, antistatic, PTFE MEMBRANE, with different pleat depth. With the huge practice in this realm, we are providing an extensive assortment of Polyester Filter Cloth. which are broadly demanded by our patrons. Polyester fiber has good resistance to chemicals especially resistance to acids, heat, abrasion, and stability in high temperatures. The fibre is extensively used in the development of food, chemicals, metallurgy, and pharmaceuticals products. We are offering Polyester Filter Cloth to our clients. We are offering Polyester Filter Fabric.